The codex of the four Gospels, translated into Latin, in Trinity College, Dublin, known since at least 1621 as ‘the Book of Kells’ (a detail we learn on p. 24 of this book), is no ordinary manuscript! It is viewed, indeed treasured, by millions who have never either looked at another manuscript or read a book in Latin, or who have little interest in its literary context: the Gospels. It is at once an icon of Irishness, a masterpiece of world art (probably the only Irish artefact to attain that status), a relic in the strict sense in that it was venerated for centuries as belonging to St Columba of Iona, a relic in the modern sense of a tangible link to a wondrous time of Irish creativity in the early medieval period, and, of course, in an age of celebrity it is one: a ‘must see’ on any tour of Dublin. But herein lies a conundrum. On the one hand, it is a complex literary artefact that needs to be studied in the same way as every other medieval manuscript needs to be examined to tell us about the conditions of its production; as a Latin gospel-book it must be related to a larger group of manuscripts and compared with them (and it needs to be noted that of that group only a small proportion are decorated, and only a handful can be considered works of art), and it needs to be seen as evidence from which we can build up the intellectual history of the culture in which it was produced. On the other hand, the Book of Kells is unique in the way that any great work of artistic genius—a painting, a sculpture or a drama—is unique. And, as a work of art, the aim of any study is to offer readers a deeper appreciation of the work and, through the quality of the reproductions and guidance as to details, to enable viewers to gain a deeper appreciation for themselves. In this latter function this book is an unqualified success; it contains all the important decorated pages, a good selection of pages from the whole codex, and ample guidance so that the viewer can appreciate the artistic virtuosity of the work. As a guide to the codex this work is more of a mixed bag. First, the author has gathered together in one place, and resolved into a coherent synthesis, all that scolarship has discovered about this codex during the last two centuries. As such, it marks a definite line in the evolution of scholarship in that it sets the basis on which all future work will be done. And as a part of that process, Bernard Meehan has produced what is surely one of the best palaeographical guides to any manuscript that we possess—probably only the ‘Great Uncial’ codices of the New Testament have received a similar level of attention—and we are all in his debt. Second, on pages 243–9 he has produced what could be described as a ‘map of the manuscript’ which is so clear and informative that it should be a model for all descriptions of codices. He shows the gathering and, by use of two colours, how the flesh/hair sides of the membranes relate to one another, while in a parallel column we are given details of significant items (e.g. carpet pages) on each folio. Would that all guides to quiring were as easy to follow and as informative! ‘Was the reader expected to comprehend the [upside down] decoration in this plane, or were such features intended for the faithful on the far side of a book held by a celebrant at Mass? 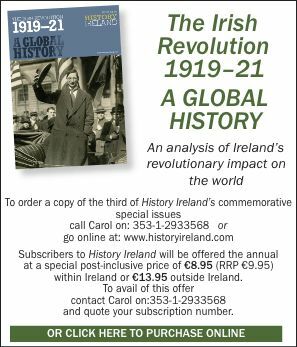 Contemporary images of the Mass offer us little instruction in this regard, and none survives from Ireland’ (p. 17). Moreover, the notion that it was produced for the liturgy is very widely held. What is the basis for this assumption that it was a liturgical product—a literary analogue of the Derrynaflan chalice and paten? The answer seems to lie in the notion that there was (in far more recent liturgy) a special book called an ‘evangelarium’ with texts for a deacon (note that Meehan uses this image on p. 100) to sing at High Mass. The codex contains the Gospels and so could be called an evangelarium—so that is what it is! Another assumption seems to be based on its artistic form: this book is a work of beauty, the liturgy attracts precious works of art, so this was its purpose. But before such flights of imagination we should recall that there is not a single shred of evidence to support this theory. Bear these facts in mind: we do have medieval lectionaries (books with the readings laid out as they were used in worship) but Kells is not so arranged. 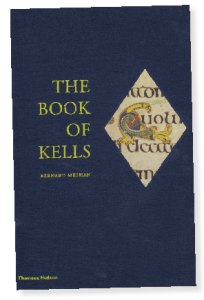 We have gospel-books with markers for liturgical use (beginnings and ending of passages marked—the essential element in any liturgical book containing biblical texts), but these are absent from Kells. We find other evidence for liturgical use in the form of marks to facilitate reading (by those whose first language was not Latin, as was the case in the British Isles) and in damage from handling during the liturgy (such as we have in the Stowe Missal)—but all these are absent from Kells. Similarly, the Gospel text is very corrupt in this book and if it were being read aloud the differences would have been noticed and corrected; in addition, the word division and legibility of Kells is both faulty and difficult, suggesting either careless production if liturgical use was intended or else that it had a wholly different purpose. Many of the same arguments can be used against the notion that it was intended as a text for study, except that here we have the even more compelling evidence of its sloppy canon tables combined with the absence of any corresponding apparatus in the text! Whoever produced this book had seen scholarly codices (the Book of Durrow is an example of such a work) but neither understood it himself nor had anyone to guide him who did understand it such that they might tell him what was important to include (e.g. the actual marginal apparatus) and what needed special care (e.g. the linear arrangement of the numbers in the canon tables). Two other issues are more complex than is suggested in this book. First, it has become commonplace to find ‘eucharistic symbols’ in the decoration of Kells in ever-increasing numbers. These take two forms, namely grape and chalice images (see, for example, p. 170), which are seen as references to the eucharistic Blood of Christ as well as to the Passion—and this connection is probably well founded even if it cannot be seen as certain. The other link is that whenever a small white roundel is found it is taken to be a communion wafer (e.g. p. 122 and illustration 117). But this is based on the assumption that modern Catholic practice is continuous since the first millennium! The sort of wafer that inspires this linkage only came into use after the introduction of unleavened bread in the tenth century. Prior to that it was a leavened loaf—see the Derrynaflan paten and the (Irish) description of the fraction found in the Stowe Missal. And such a loaf cannot be baked without being browned! All the references to ‘eucharistic hosts’ (‘hostia’ is also anachronistic) need to be ignored. If there are images of eucharistic loaves in Kells, we have not yet found them and, to date, have been looking in the wrong place. Second, much is made of external criteria to suggest a link between Iona and the production of the Book of Kells—which would fit the traditional linkage with Kells as a Columban monastery. Anyone making such a link, however, needs to bear in mind that the evidence is far less clear-cut than it appears here. When it comes to Iona being a source of influence, we have less to go on than some ‘parallels’ imply. For example, the appeal to the description of ‘Arculf, a pilgrim from Gaul, who visited Iona on his return from the Holy Land’ (pp 131/3) is naïve and takes no account of scholarship on the problems of Adomnán’s De locis sanctis over the past two decades. Equally, we have direct evidence and reputational evidence (from Bede’s comments) for the high quality of biblical studies on Iona. Is that consistent with the various blunders in the biblical text, the confused forematter (a garbled fragment of Eusebius/Jerome’s Onomasticon, a text we know was on Iona) and the complete muddle regarding the Eusebian Apparatus that we find in Kells, when we know that the Apparatus was used with precision there (and there are also links between Iona and the Book of Durrow, which even has the expanded form of the Apparatus)? If one wishes to posit that the Book of Kells was produced in a monastic setting, especially one linked to Iona, then these problems have to be addressed. Thomas O’Loughlin is Professor of Historical Theology at the University of Nottingham.